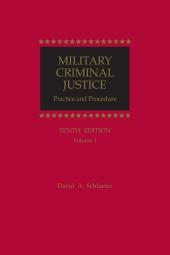 Cut through the confusion surrounding the court-martial process with the Third Edition of Military Criminal Procedure Forms. 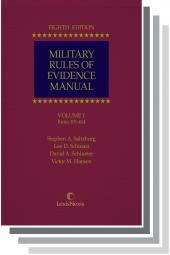 This practical resource provides all the forms, motions, letters, and other material you need for the court-martial process - from pretrial investigation through appellate disposition. It also provides discussion of the applicable statutory, regulatory, or case law related to the forms. Ken Jansen is a major of the U.S. Marine Corps and an active duty judge advocate. He has run a successful private practice in Golden, Colorado and tried cases in local, county, and district courts in Colorado since 1983. After graduation from Naval Justice School, he served as a Judge Advocate and as Special Assistant U.S. Attorney. 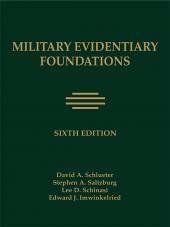 He also taught classes on military and federal law at military duty stations. Prior to receiving his J.D. from the University of Denver, Mr. Jansen was commissioned a second lieutenant in the U.S. Marines. He earned two awards of the Navy-Marine Corps Commendation Medal for legal and military work. He is licensed to practice in the U.S. District Court for the District of Colorado and the U.S. Courts of Appeals for the 10th and 11th Circuits. Kevin J. Barry is a sole practitioner in the firm of Kevin J. Barry, Attorney and Counselor at Law, which concentrates on all types of military and veterans law issues, including military justice issues, and military and veterans administrative issues. He is also the founder of Mediation Resources, a firm offering alternative dispute resolution services with an emphasis on mediation, facilitation and other third-party neutral activities. Fifteen years an attorney in federal service, Mr. Barry was previously Chief of Legislation for the U.S. Coast Guard, Appellate Military Judge for the Coast Guard Court of Military Review, and Chief Trial Judge for all U.S. Coast Guard courts-martial. He also served as Legal Officer for 22 state Coast Guard districts and Staff Judge Advocate to a flag officer general court-martial convening authority.